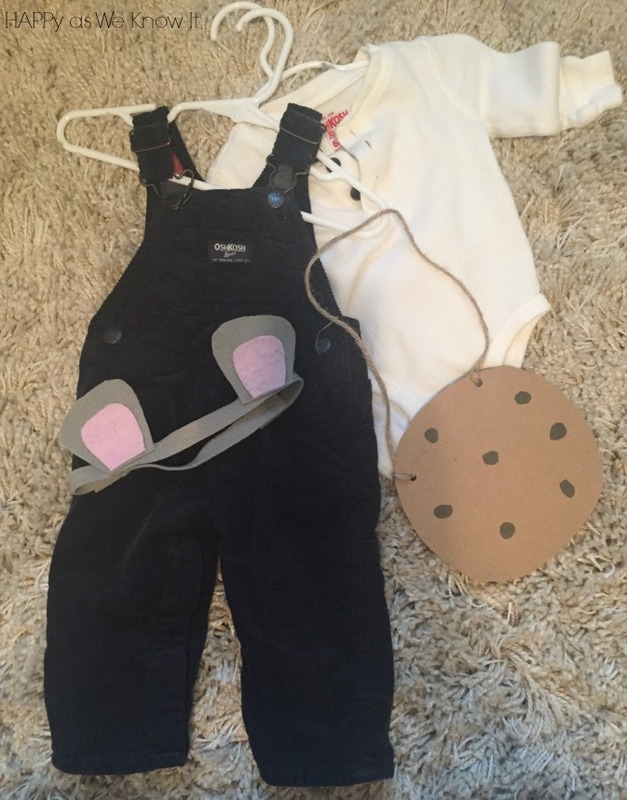 I started out by perusing the little man's closet for an outfit we could pull off that we had on hand. While the color of the overalls may have not been perfect, they were free. While out grocery shopping that same day, I hit up the local craft store and snagged a piece of gray and pink felt for around $2. I cut a strip of the felt and sized it to our "mouse's" head and simply stuck a staple in to hold it together. I then cut each ear piece (no stencil just eyeballed it) and hot glued them to the headband. 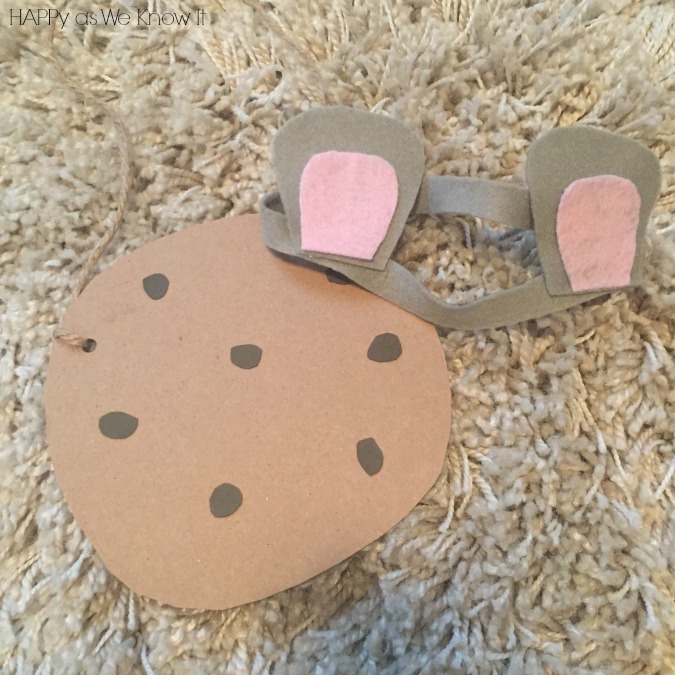 Finally, I cut out a large and in charge cookie from some cardstock and added a piece of twine we had on hand to tie this delicious paper goodie to little man's neck. And let's be honest, you know he dug in. This whole costume cost under $5, took less than 20 minutes to throw together and took all of 3 minutes for our guy to be completely done with. 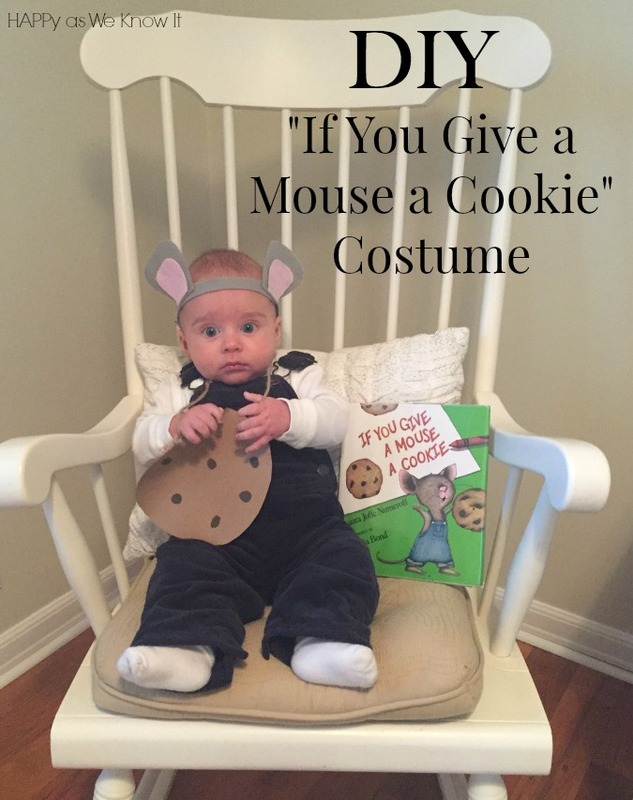 Such a cute idea for your handsome little guy! Thanks, Alyssa. The best part is - it was so simple and beyond affordable as well! 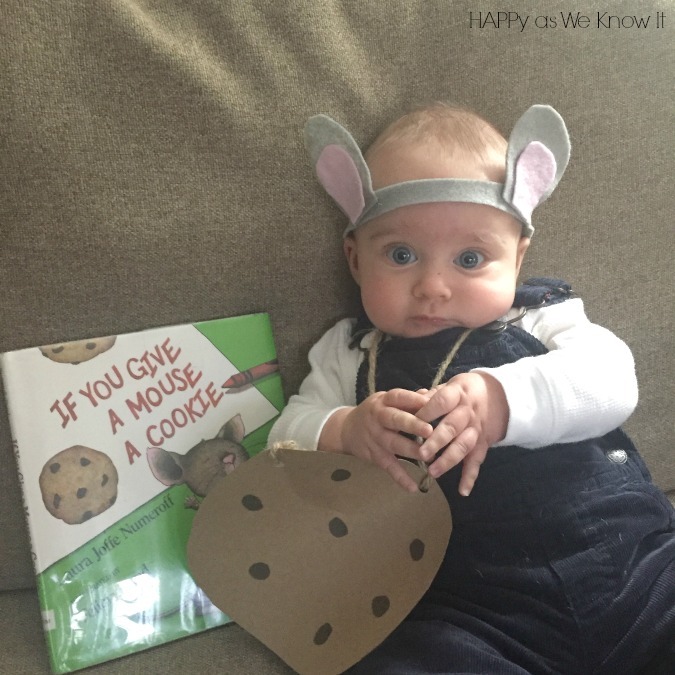 He makes such an adorable mouse!